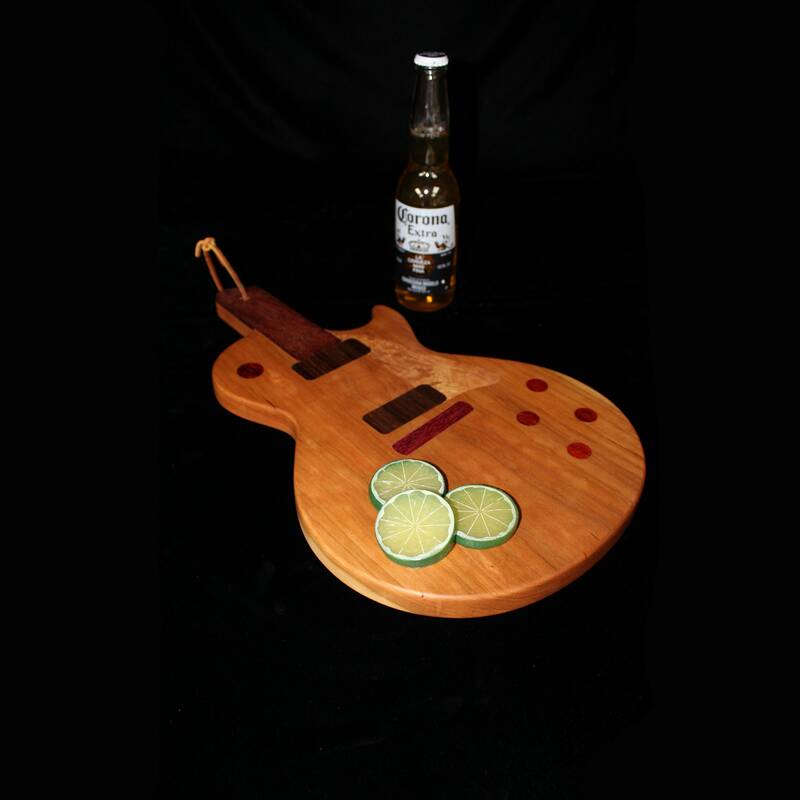 This beautiful Guitar shaped cutting board is a scaled down Les Paul. It is made entirely of wood with inlay details. 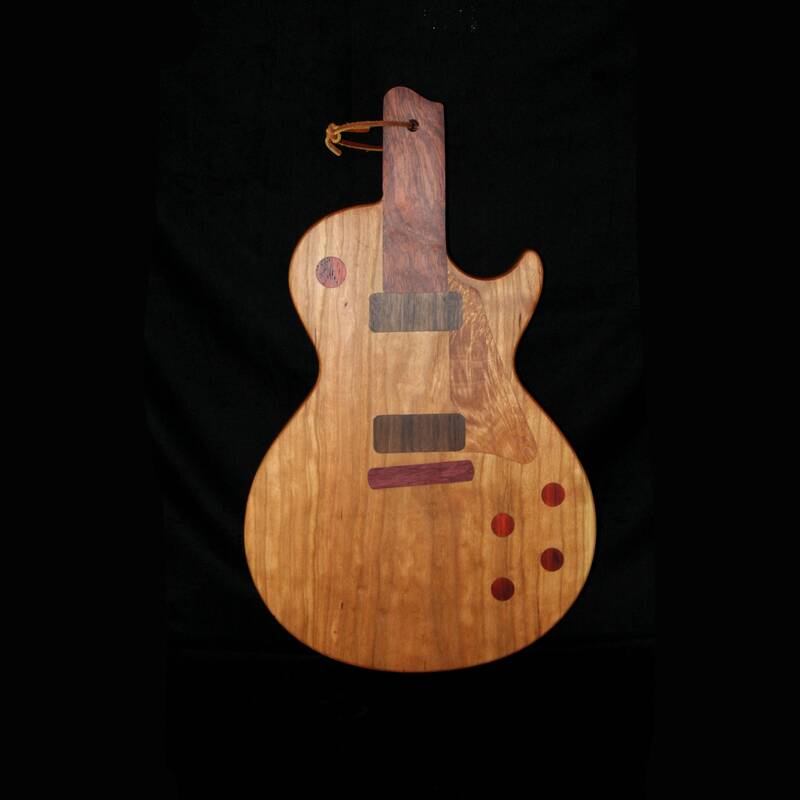 The body is Cherry wood. 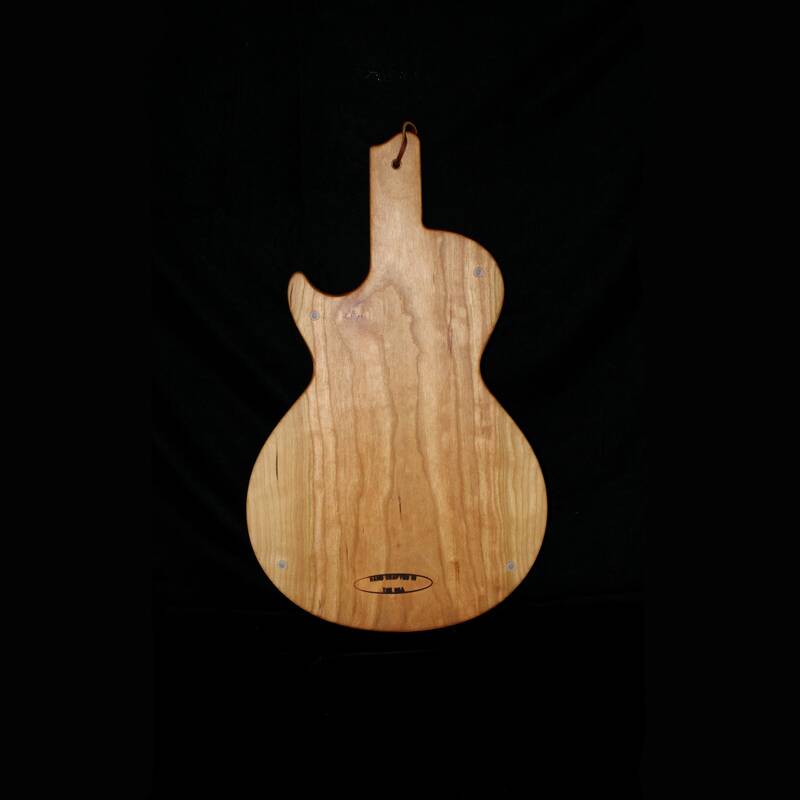 All inlays vary in wood. The inlaid pieces are deep enough for many many years of use. The Whole cutting board has a 3 coat hand rubbed mineral oil finish and 4 rubber feet so it can breath and sit snugly on any counter top so it won’t slide. Washing: You can scrub and wash your cutting board with soap and water but don’t immerse it completely in water and don’t put it in the dishwasher. Sanitizing: You can sanitize a board by rinsing it with a diluted bleach solution (1 teaspoon bleach in 1 quart of water)oiling: Use only Mineral Oil. (Vegetable, olive, etc.) Will turn rancid. Mineral oil prevents water absorption, combined with its lack of flavor and odor makes it a popular preservative for wooden cutting boards. 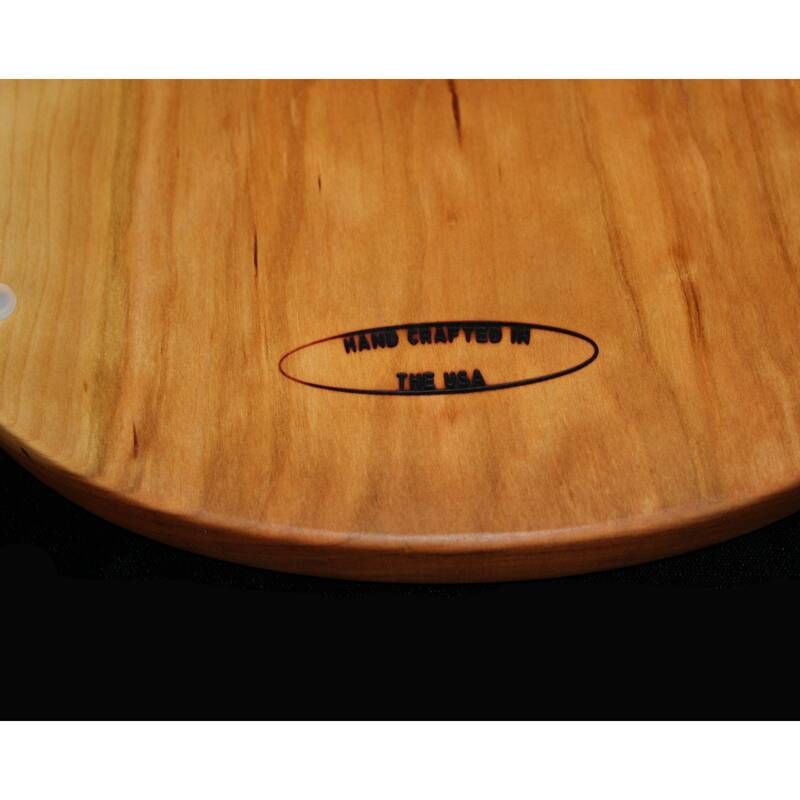 Rubbing a small amount of mineral oil into a wooden cutting board periodically will prevent absorption of food odors and ease cleaning, as well as maintaining the integrity of the wood, which is otherwise subjected to repeated wetting and drying in the course of use.